In the "Save Folders" setting, I have the "Layout Photos" checked and also the "Individual photos" checked. It looks like a folder named "Prints" is automatically created within the layout photos. Any way to save the individual photos in that same folder? It looks like I have to save it elsewhere. You can change any of the save locations by pressing the folder icon button. created when there are different images for display verse printing. > So, wondering if there is a way to create the "Individual photos"
> folder automatically like the "Prints" folder gets created. to need to manually create the folder. We use media player to use the layouts as a slideshow. 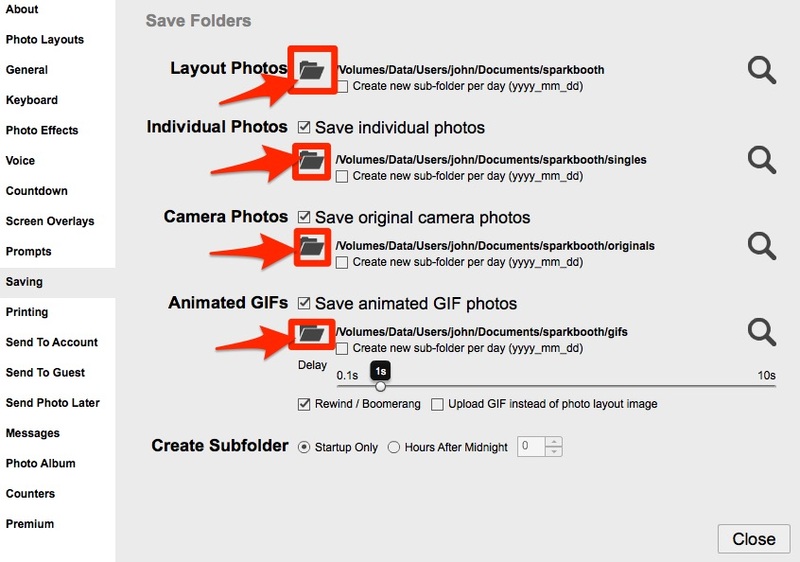 Unfortunately SB automatically creates the "Prints" subfolder in the same folder that I want to use for the slideshow and it uses all subfolders. Is there a way to save the "Prints" folder elsewhere? for when the display verses print images are different.